KATHMANDU, April 17: Social Security Fund (SSF) has no cash to run social security programs immediately as the government has not provided it Rs 22 billion collected for the purpose over the last eight years. 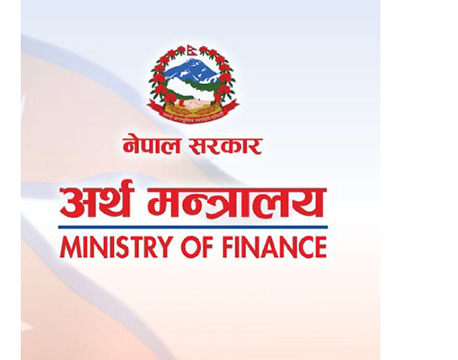 KATHMANDU, April 17: Balance of Payments (BoP) deficit widened in the eighth month of the current fiscal year, indicating the worsening external sector position of the country. 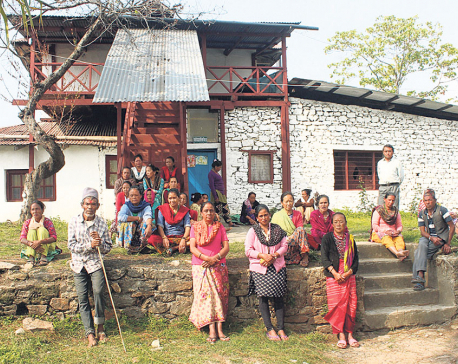 ILAM, April 17: Tea factories in Suryodaya Municipality of Ilam have expressed commitment to implement minimum pay fixed by the government for the time being. Owners of tea factories, however, have said that they will launch protest against the government if their demands are not addressed. KATHMANDU, April 17: Two-wheeler manufacturer Hero MotoCorp Ltd today launched Destini 125, a family scooter, in the Nepali market. Issuing a press statement Tuesday, the company said that the scooter with its revolutionary i3S technology is the first of its kind to be introduced in Nepal. KATHMANDU: Stocks opened Tuesday's trading on a poised note and climbed above 1,190 points mark in the beginning hour. 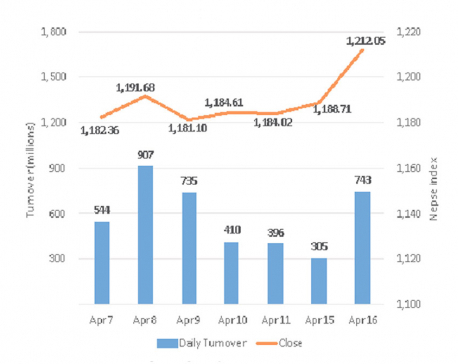 The Nepal Stocks Exchange (Nepse) index continued to see strength in the remaining trading hours and witnessed a surge mid-session that pushed the benchmark index over the crucial 1,200-point mark. Further rally toward the end saw the index close the day 23.33 points higher at 1,212.05 points. 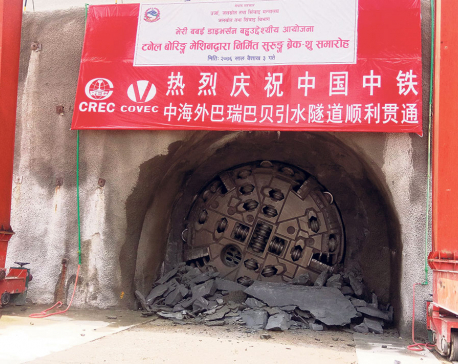 SURKHET, April 17: The drilling of a tunnel with the use of a Tunnel Boring Machine (TBM) has been completed in Nepal for the first time. 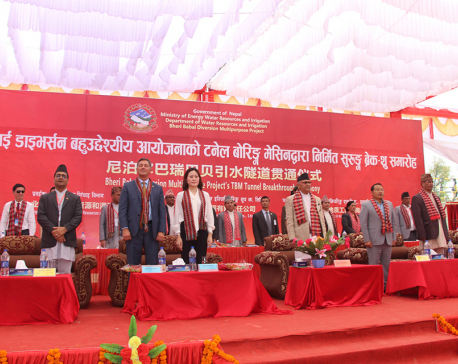 With the help of the TBM, the 12.2 kilometer tunnel for the Bheri-Babai Diversion Multipurpose Project, a national pride project, has been completed about a year ahead of schedule. KATHMANDU, April 17: Large Taxpayers' Office (LTO) has assessed the tax amount of Ncell buyout and asked the company on Tuesday to pay the remaining capital gains tax (CGT) amounting to Rs 39.06 billion, which includes interest and fine, within seven days. 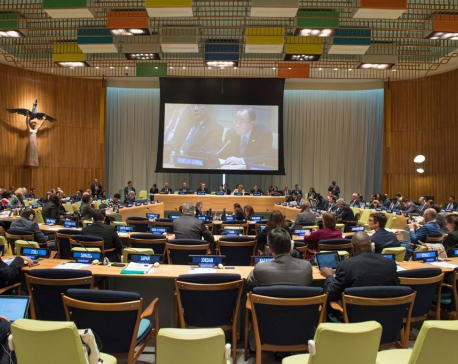 UNITED NATIONS, April 16: The 2019 Economic and Social Council (ECOSOC) financing for development forum opened here Monday and its participants called for efforts to reform the multilateral trading system.